A WAVE of new launches after the Chinese New Year lull boosted developers' sales in March, with 1,054 private homes having been sold. This was up from the 455 units moved in February and 47 per cent higher than in March last year. Altogether, 1,812 private homes were launched in March. Of that number, 170 were in the core central region (CCR), 576 in the rest of the central region (RCR) and 1,066, outside the central region (OCR). In comparison, 596 units were launched for sale in February, and 614 in March a year ago. The figures, which exclude executive condominium (EC) units (a public-private housing hybrid), were released by the Urban Redevelopment Authority on Monday. Nicholas Mak, executive director of consultancy ZACD Group, said: "After holding back their residential launches during the Chinese New Year holiday season, developers were rushing to launch their projects to avoid steep competition from other projects in the pipeline and the approaching additional buyer's stamp duty (ABSD) deadline of their individual projects." For the first quarter of this year, 1,946 new homes were sold, about 23 per cent higher than the 1,581 units sold in Q1 2018 and up six per cent from Q4 2018, when 1,836 units were sold, OrangeTee & Tie highlighted. Including ECs, developers found buyers for 1,062 units last month, higher than the 457 units they moved in February and the 788 units they sold in March a year ago. In the EC segment, eight units were sold, out of which five were from Northwave in Woodlands. Ten new private residential projects were launched last month, including two huge ones - the 1,410-unit The Florence Residences and the 2,203-unit Treasure At Tampines, which together accounted for around a third of all sales in March. Others included Nyon (Amber Road), 1953 (in Balestier), Boulevard 88 (Orchard Road), One Meyer (near Tanjong Rhu) and 35 Gilstead (in Newton). The top-selling project in March was Treasure At Tampines, which sold 289 units at a median of S$1,335 per square foot (psf). This was followed by The Tre Ver (in Potong Pasir), which sold 131 units at a median of S$1,602 psf and The Florence Residences (in Hougang), where 77 units were moved at a median of S$1,434 psf. Colliers' head of research for Singapore Tricia Song said: "The Florence Residence sold 39 per cent out of the 200 units launched. The less-than-ideal launch takeup could be due to the competitive supply situation in the Hougang/Upper Serangoon area, where major projects such as Affinity at Serangoon, Riverfront Residences (and) The Garden Residences, launched since July 2018, have been soaking up pent-up demand." Ong Teck Hui, senior director of research & consultancy at JLL, pointed out that the surge of launches in March proved to be much more than the market could absorb; the overall take-up rate was 58.2 per cent. "While there is underlying demand, the magnitude has been affected by last July's cooling measures as well as cautious market sentiments. The bunching of launched projects would be of concern to developers as too many projects trying to draw interest from buyers could impede sales progress." Still, market observers such as PropNex Realty chief executive officer Ismail Gafoor believe that developments which are priced suitably will continue to sell well in the coming months. In March, nearly 80 per cent of buyers purchased homes that cost S$1.5 million and under, which suggests that buyers remain price-sensitive, said ERA Realty's key executive officer Eugene Lim. 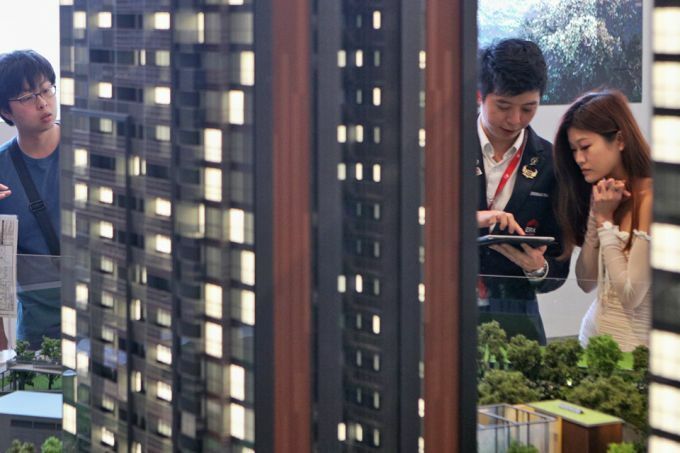 Meanwhile, the ultra-luxurious segment was drawing "keen interest" from buyers with deep pockets, with 25 new private homes costing above S$5 million each sold. This was the highest number recorded in a single month since December 2013, OrangeTee & Tie noted. Of the 25, 20 were units in the freehold luxury development Boulevard 88; the remaining five were in Marina One Residences. Christine Sun, OrangeTee & Tie's head of research & consultancy, said the priciest unit sold in March was a 528 sq m unit on the 28th floor of Boulevard 88; it was transacted at S$28 million, or S$4,927 psf - the highest per-square-foot price transacted for a new-sales unit since June 2013. Christine Li, head of research at Cushman & Wakefield, believes buyers will remain price-sensitive, given the upcoming launches in the pipeline. 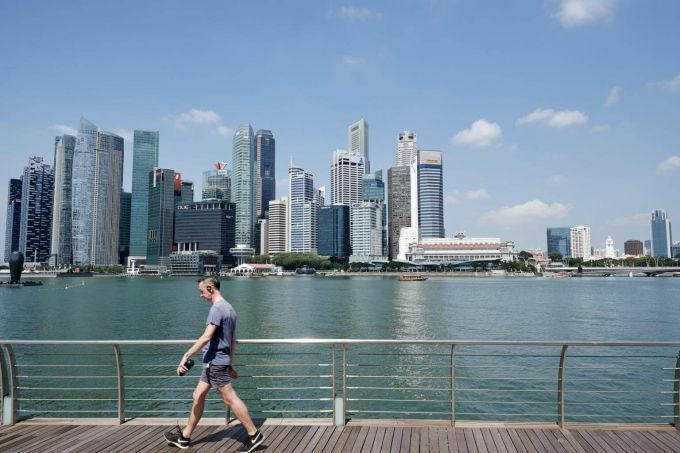 "Nonetheless, prices are likely to remain sticky as most developers have healthy balance sheets and still have time to sell their units before the five-year ABSD deadline hits." CBRE's Desmond Sim, head of research (South-east Asia), said developers may slow down the pace of their launches to clear the inventory. The launch pipeline could ease also because the bigger projects have already been launched. "Buyers may adopt a 'wait-and-see' stance, in anticipation of prices declining in the coming quarters," Mr Sim added. Upcoming projects could include the 1,076-unit Avenue South Residences in Kampong Bahru, the 592-unit Amber Park in the East Coast, the 250-unit The Gazania and the 80-unit The Lillium, both off Bartley Road. Ms Song expects take-up to remain "relatively healthy" in the coming months. For 2019 as a whole, Colliers Research estimates that 9,000 new residential units could be sold, up slightly from 8,795 units in 2018. 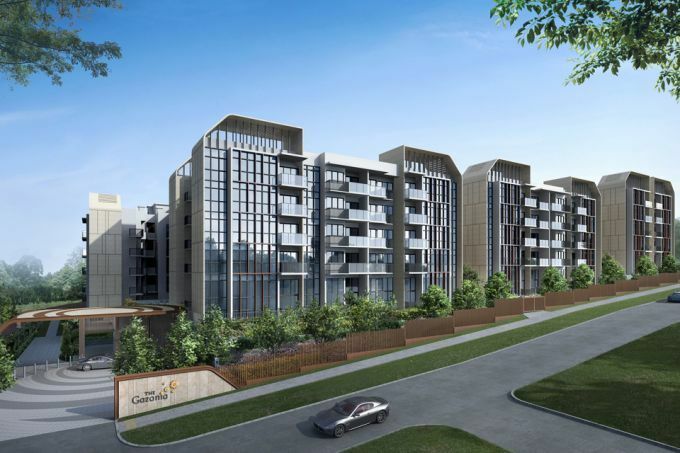 250-unit The Gazania will likely be priced from about S$1 million for an approximately 440 sq ft one-bedroom unit to four-bedroom penthouse of roughly 1,800 sq ft from about S$3.3 million. The 80-unit The Lilium (formerly How Sun Park) on How Sun Road will have two to four bedroom units, priced 5 to 10 per cent less on a per square foot basis, and will have larger units compared to The Gazania's. 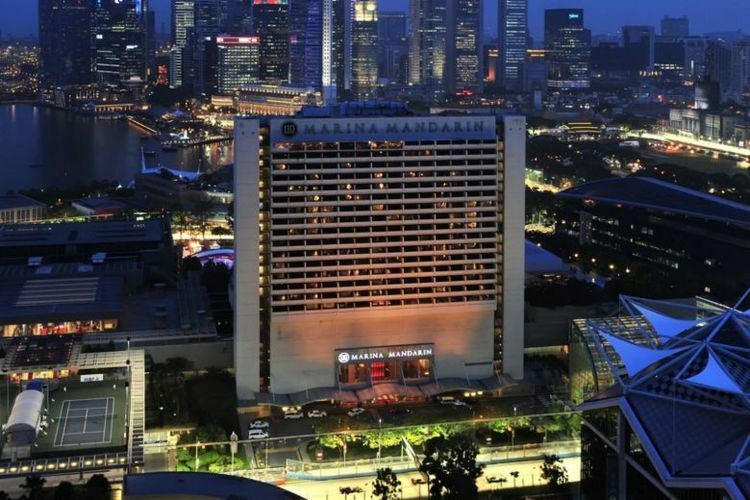 The Marina Mandarin Singapore and parts of the Marina Square complex are changing hands for $675.3 million in a deal announced last Friday involving firms linked to tycoon Wee Cho Yaw.